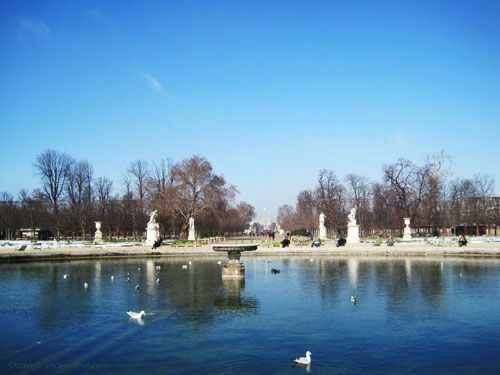 The Tuileries Garden is the second largest public park in Paris after the Parc de Bercy. It indeed stretches from the Louvre Palace to Place de la Concorde. A network of trails and paths crisscross the 28-hectare garden. Sculptures by Maillol, Guillaume Coustou, Coysevox and Van Cleve adorn lawns and flowerbeds. The central lane boasts prime views of the Louvre, Champs-Elysées, Arc de Triomphe and Grande Arche de la Défense. Chairs, free for all to use, are permanently available by the octagonal and round ponds. You'll also find open-air restaurants and cafes in the wooded areas. Children will enjoy the Ferris wheel that is located alongside Rue de Rivoli during the holiday season. Impossible to miss it, as it can be seen from all corners of the park! Two terraces frame the western entrance of the Tuileries Garden on Place de la Concorde. 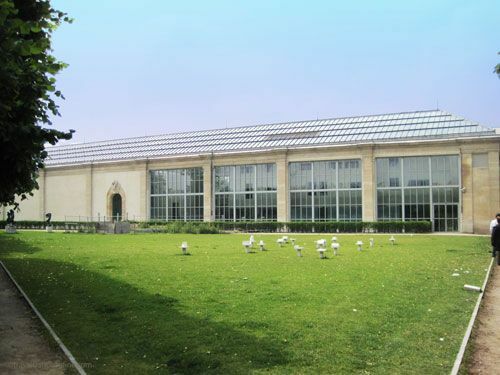 You'll find the Musée de l'Orangerie, on the south terrace; it offers permanent exhibitions of Impressionist and contemporary artists. 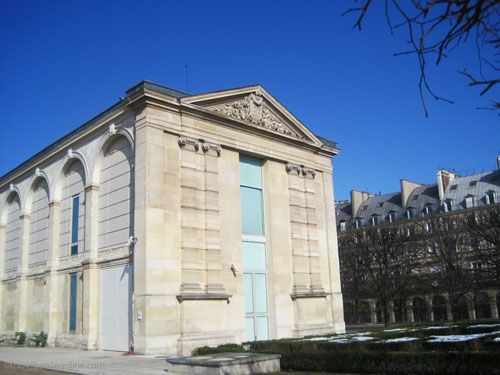 The Musée du Jeu de Paume, on the northern terrace, is dedicated to Modern Art. 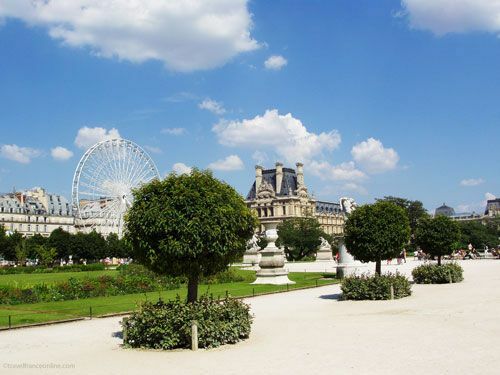 Don't look for the Tuileries Palace, as the gardens were extended on its site! In 1564, Queen Catherine de Medici commissioned Philibert de l'Orme with the construction of the Palais des Tuileries Palace, as well as the Waterfront Gallery, Marsan Pavilion and Flore Pavilion in the Louvre Palace. The palace was erected on the site of a slate factory (tuilerie), hence its name. Works were suspended at the death of the architect. Henry IV resumed them in 1594 and commissioned Androuet du Cerceau with the decoration of the palace. Works were once more interrupted when the king was assassinated in 1610. Louis XIV resumed them some 50 years later and commissioned Le Vau and Orbay with the construction of the Pavillon de Marsan. He also achieved what Catherine de Medicis had initially planned, link the Tuileries and Louvre! However, he moved to his newly built Chateau de Versailles, and lost interest in his Parisian palaces. As a result, the Tuileries Palace remained vacant until the French Revolution, when it became the seat of the temporary revolutionary government. Napoleon then made it his official residence. 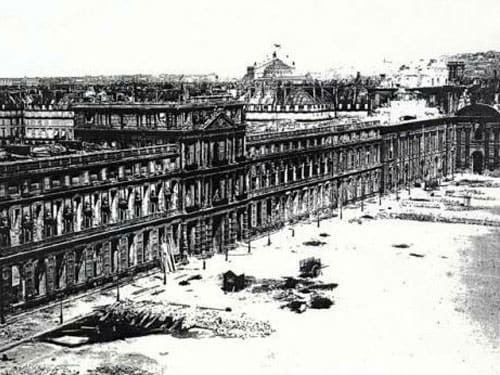 Unfortunately, the Tuileries Palace and the Pavillon de Marsan burned during the Commune de Paris of 1871. The Marsan Pavilion was rebuilt, but the ruined palace was pulled down in 1882. All that is left of the old Tuileries Palace is an arcade, which miraculously escaped destruction! It was restored and eventually rebuilt in the Parc Monceau. The gardens the landscape architect Bernard Palissy designed for Catherine de Medici' palace were spectacular. They indeed boast a maze and vast reservations planted with flowerbeds and delineated by 6 main lanes crossed at right angle by 8 paths. 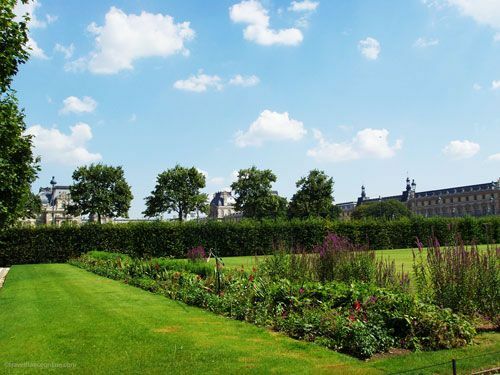 However, when Louis XIV resumed construction of the palace in 1664, he also commissioned André Le Nôtre with the re-landscaping of the gardens. Le Nôtre aligned the central lane with the axis of the Champs-Elysées and created the current round and octagonal ponds. He embellished the gardens with flowerbeds, statues, basins, fountains, walkways, paths and patios. The Tuileries Garden was open to the public, but a wall delineated it from the palace. This didn't stop it from becoming one of the trendiest spots of Paris though, until Louis XIV moved to Versailles in 1682. Bad times followed. It was indeed converted it in a large kitchen garden at the French Revolution, and exotic plants left place to potatoes and beans crops! The Tuileries garden was then left to fall into fallow, until the early 19th century when Napoleon I moved into the palace and restored it to its former splendour.